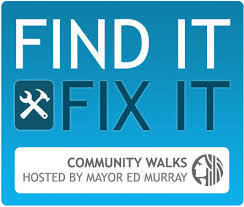 The plan is all set for our Find It, Fix It Community Walk with the mayor, police chief and city council member. This walk provides a unique opportunity for us to identify neighborhood needs and discuss challenges directly with City leaders. 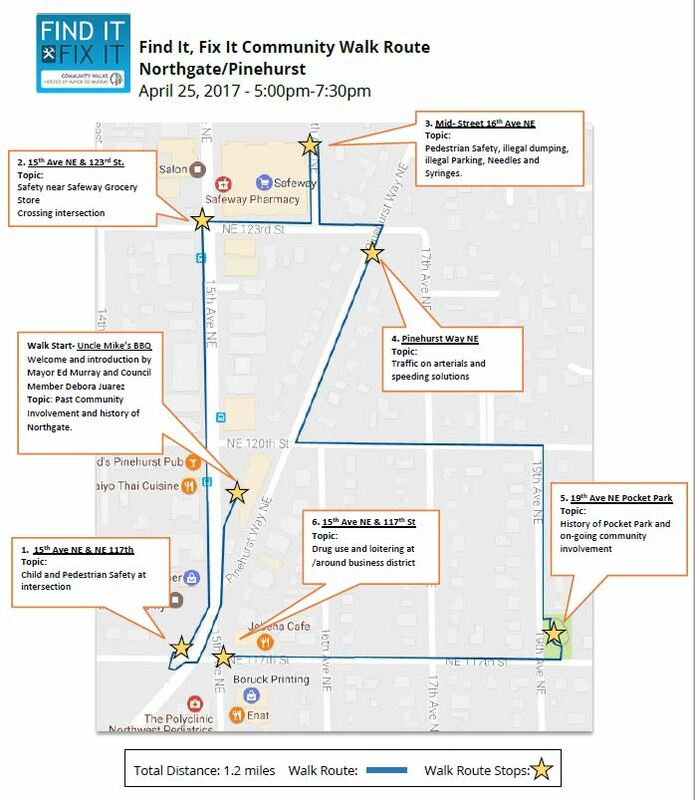 All the things we’ll spotlight were suggestions submitted by Pinehurst community members. The suggestions were whittled down to fit criteria for a one mile walk. We will, however, show the mayor photos of some of the suggestions that were too far away to be on the route. Pinehurst bumper stickers available for $1 donation to Pinehurst Community Council! It looks like the route is more focus on the business not the residents. Is this only a campaign propaganda? It is not focused on businesses, except for the one that we think is dealing drugs. It is mostly focused on pedestrian safety and the traffic congestion people are so frustrated about. The mayor did not decide on the issues, nor the route – they came from residents’ suggestions. But, of course, these walks around the city have a component of ‘see how the mayor is engaging with the community’.